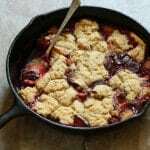 Plum cobbler celebrates this often overlooked summer fruit. Be sure to use ripe plums for the best flavor. Like all cobblers, this one tastes best served warm with a generous scoop of ice cream. 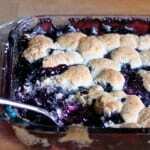 Recently, I realized I was stuck in a summer cobbler rut. If it wasn’t blueberry or peach, I simply didn’t make it. Now, this realization didn’t come to me during a meditation session or anything like that. It occurred to me as I flipped through Lisa Fain’s The Homesick Texan’s Family Table: Right in the middle of the sweets chapter is a recipe for plum cobbler. I’ve never made plum cobbler. In fact, I don’t think I’ve ever baked anything with plums. Don’t get me wrong, I love plums; I just always eat them raw. Suffice it to say that I was intrigued. 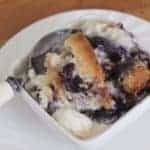 The original recipe calls for an easy cobbler topping, made even easier because of how Fain handles the butter: Instead of cutting cold butter into the flour mixture, she melts the butter and stirs it in with butter milk. I grabbed some sorghum flour and a little sweet rice flour to replace the wheat flour and within minutes, the topping was ready. Except…I made a mistake. I sliced the plums too thin. The result? A cobbler topping sitting atop a filling that had the texture of jam. All of the plum slices melted down during baking. All. Of. Them. While not what I wanted, it wasn’t too terrible. We spooned the jammy cobbler over vanilla ice cream and it tasted fabulous. Without the ice cream? Meh. But we all loved the flavor. Seasoned with lemon zest and cinnamon, the baked filling tastes almost like cherry—enough so that a few friends thought that cherries were precisely the fruit I’d used. 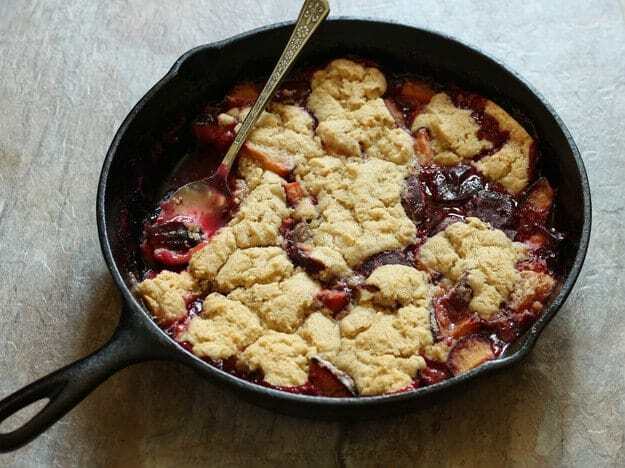 I wanted to make another cobbler with thicker slices to see if I could avoid the jam-like texture and better highlight the juicy plums. So, for the next batch, I quartered the plums. Going into the oven, the dish looked almost ridiculous. Big hunks of plum sat under what seemed like not nearly enough cobbler topping. Now I was sure I’d swung to the other extreme: I’d sliced the plums too thick. But forty minutes of baking handily proved me wrong. The plums baked down a lot. 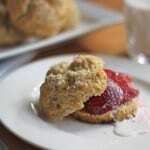 They still softened considerably, but they didn’t turn to jam as they had on my first attempt. The cobbler still tasted great with ice cream, of course. Only this time, it tasted pretty great on it’s own, too. And, because I’m a creature of habit, I made a peach cobbler, too. This time, however, I used half plums. Amazing. The peaches hold up a little better to the heat than the plums. So you get a cobbler with juicy peaches and soft plums all held together with a sweet, lemony sauce. Summer fruit cobbler perfection. Prepare the Filling: Spray a 10-inch cast iron skillet or a 9-inch square cake pan with nonstick cooking spray. 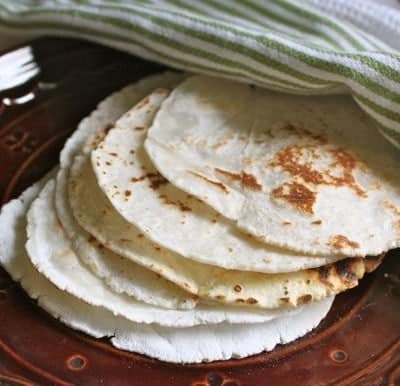 In a large bowl, combine granulated sugar, sweet rice flour, cinnamon, and lemon zest. Rub mixture together with your fingers. Add plums and stir with a wooden spoon. Transfer mixture to the prepared skillet or cake pan. 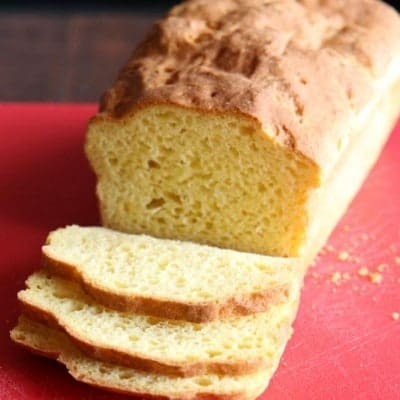 Prepare the Topping: In a small bowl, whisk together sorghum flour, sweet rice flour, granulated sugar, baking powder, and salt. 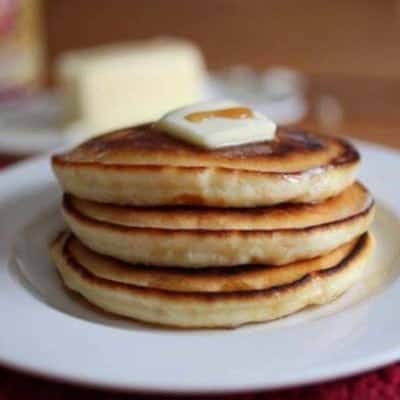 Add buttermilk and melted butter to the dry ingredients and stir until a batter forms. Drop the batter over the plums; the batter won’t totally cover the fruit filling. Bake until topping is set and golden and the filling comes to a boil, about 40 minutes. Remove pan from oven and place on a wire rack to cool. 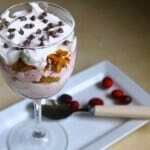 Serve warm or at room temperature with or without ice cream. Store leftover cobbler covered in the refrigerator for up to 3 days.